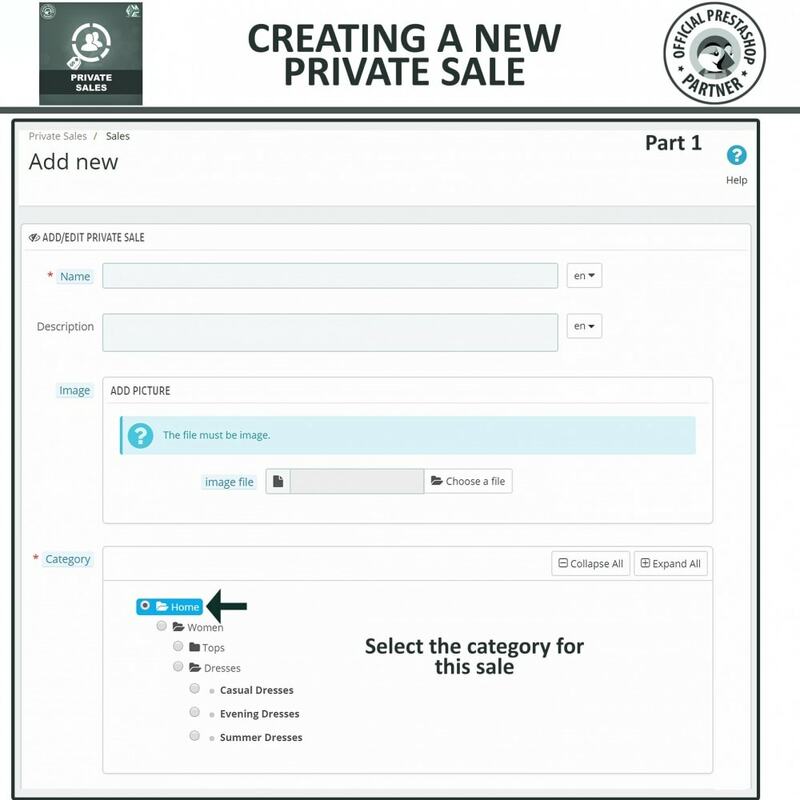 What this Prestashop Private Sales Module does for you? 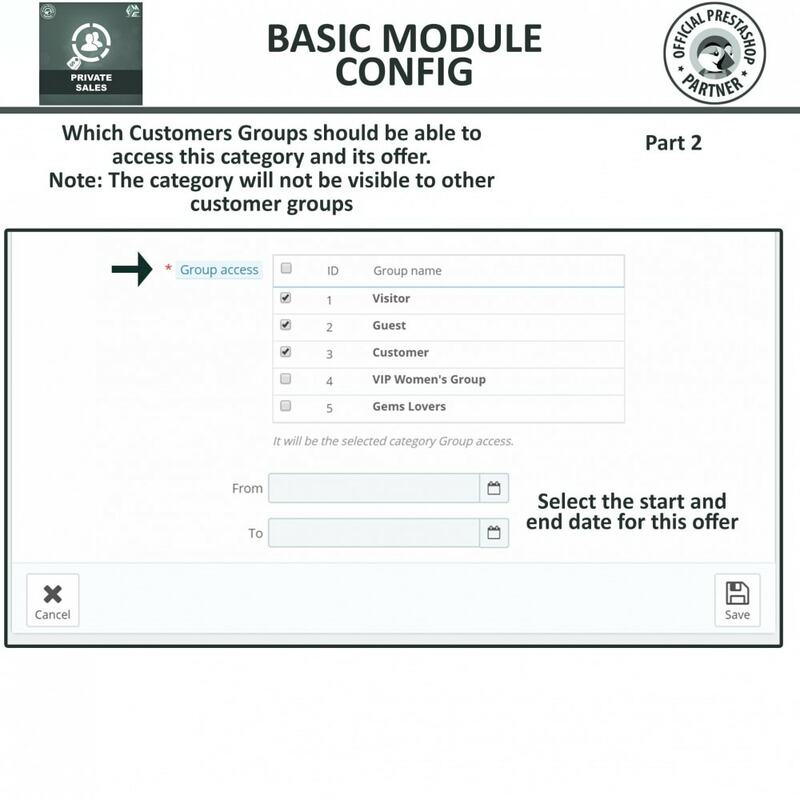 Create as multiple discounted private sales deals for specific customer groups. 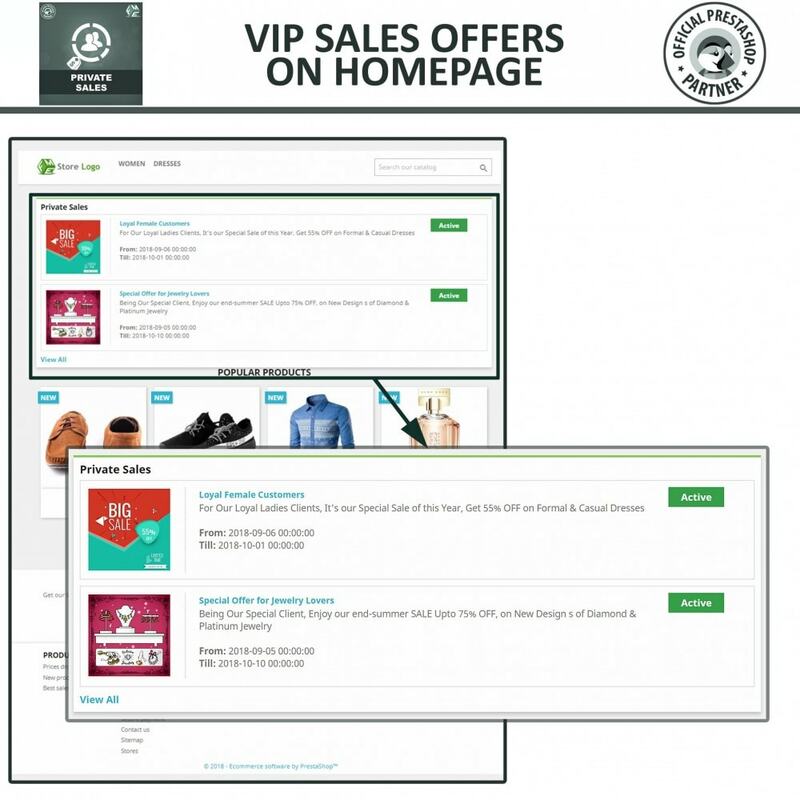 These offers are visible on your website to all of your visitors, but only private shop members will be able to get benefit from these. 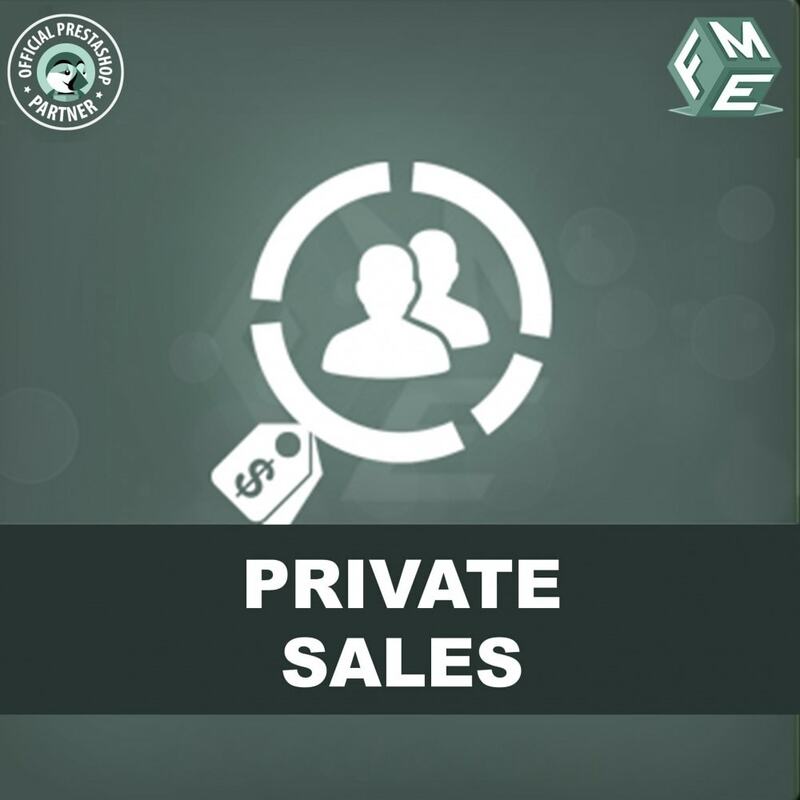 The merchants have an option to hide these private sales from non-loggedin customers. 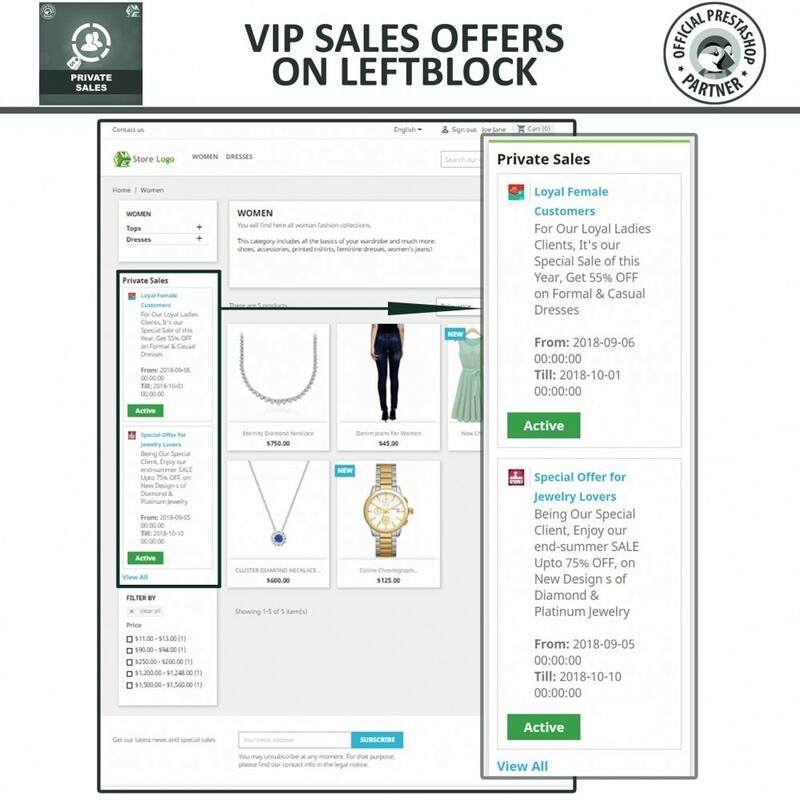 Private sales are displayed in left/right columns, in customers’ accounts, cart page, and on a dedicated private shop page. 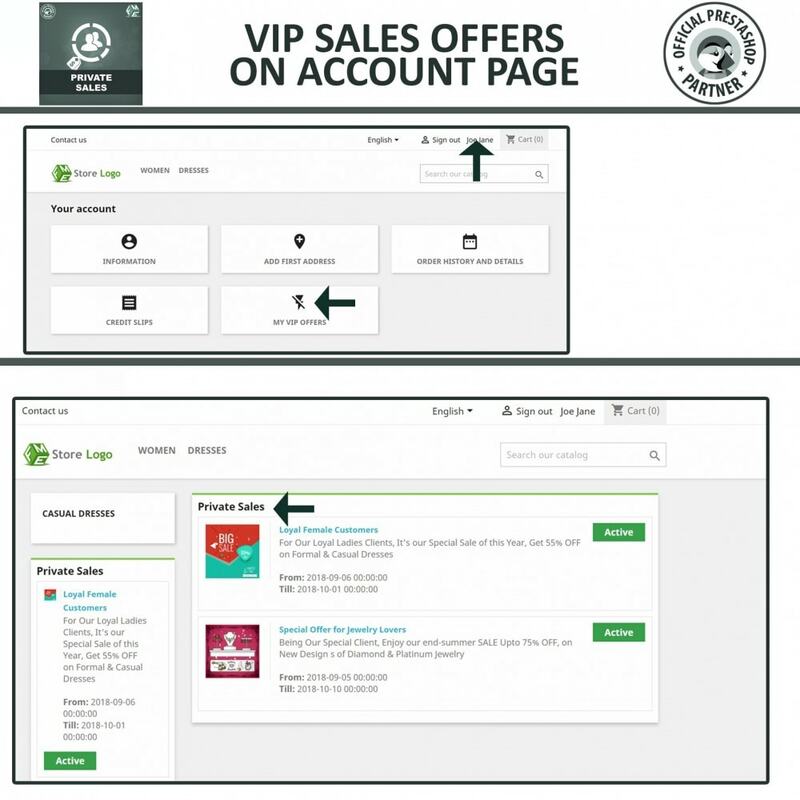 Private sales are visible to all visitors but only members can buy. Subscribe button for private sales can also be enabled/disabled for unregistered customers.